The Blount County Commission is the governing body for Blount County, Alabama. Founded in 1818 by the Alabama Legislature, the commission functions as an arm of the state government under specifically delegated authority. The commission sets the budget for all county offices, but only maintains operational control over offices not supervised by other elected officials. It is also important to note that not all offices located in county buildings are county departments. Some offices, such as the circuit and district courts, district attorney’s office, and driver’s license examination office are funded and operated by the state government. 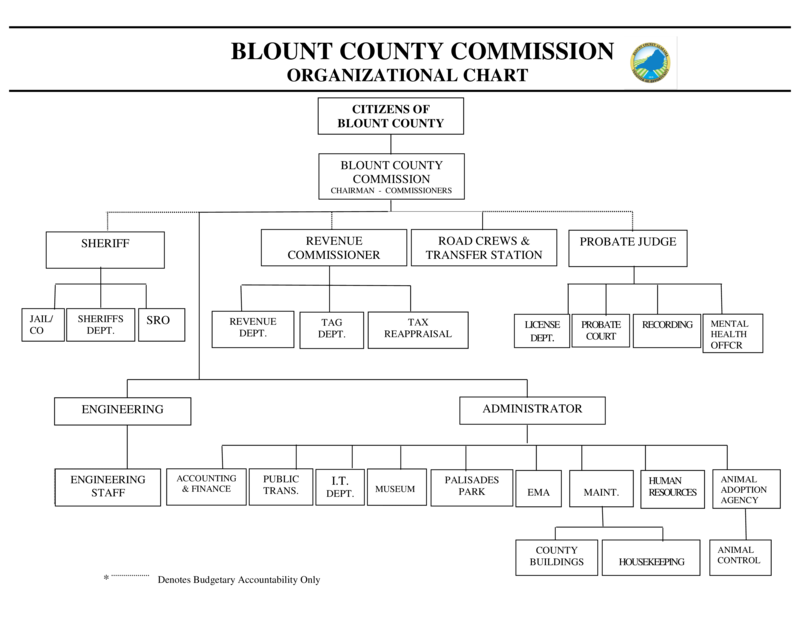 For a better understanding of which offices are funded by Blount County and who manages each, see the organizational chart below.